Grab Dredger using a rotary boom and rope Dredger to hang buckets; Grab its own weight in the role, crawl into the seabed soil. Then start fighting rope winch, skip rope through the pulley at the top of the boom, will grab off, then turn the dredge rises to a predetermined point (or mud Barge) to remove the mud. Dredging and excavation sites reversed, dredging, so the cycle of operation. 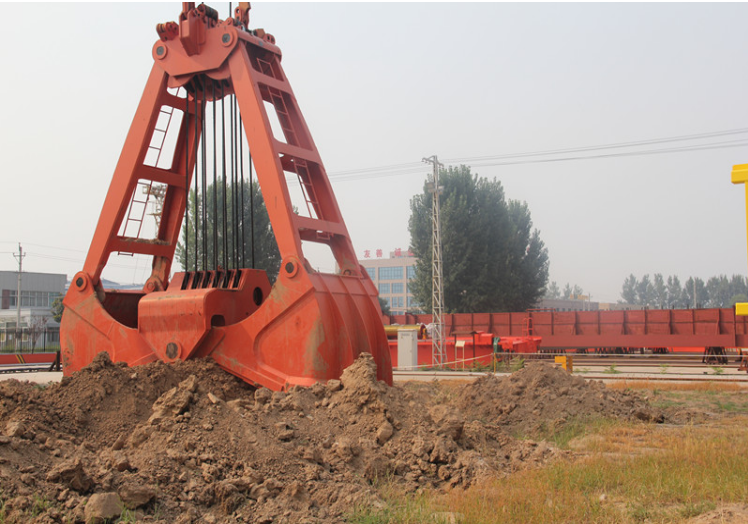 Grab dredger is mainly used for digging clay, silt, hatching stone, should grab the sand and silt. 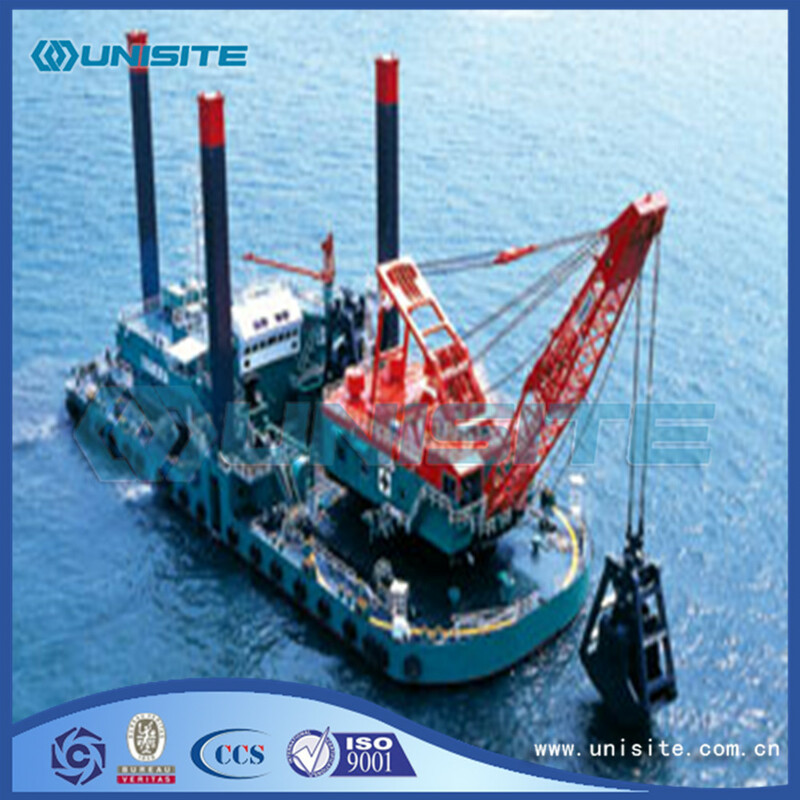 With strategic partnerships with DONGPENG shipyard, UniSite is able to provides the construct, repair and maintenance service as well as kinds of dredger equipment. 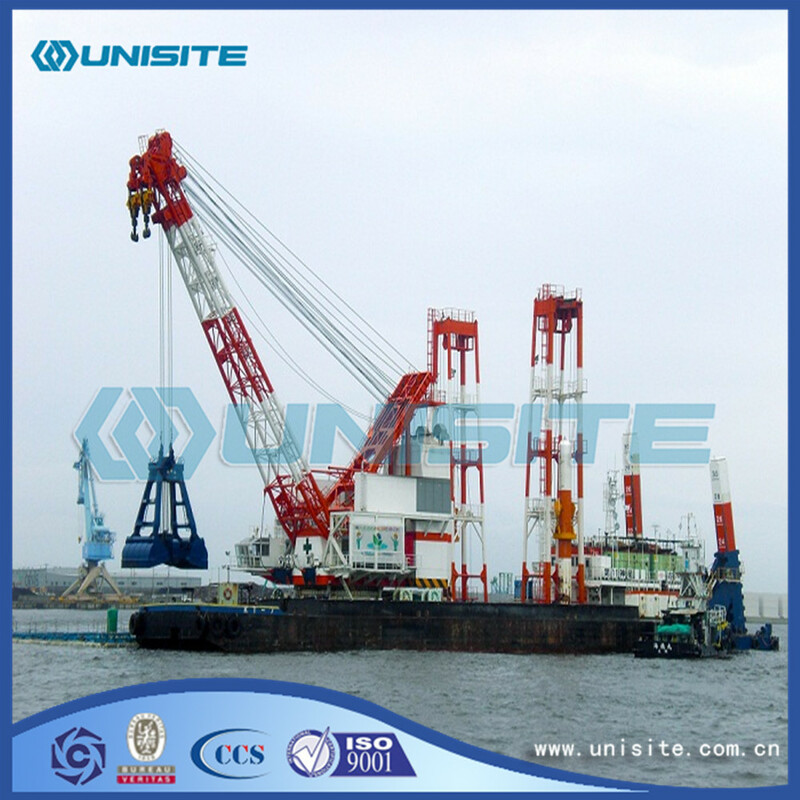 All fabricated steelwork used in the construction of the dredger will be to manufacturing standard of UniSite or other classification society. • Small quantities with strongly varying depth. • Dredging in moraine areas where big stones can be expected. The production of a grab depends strongly on the soil. Suitable materials are soft clay, sand and gravel. Though, boulder clay is dredged as well by this type of dredger. In soft soils light big grabs are used while in more cohesive soils heavy small grabs are favorable. 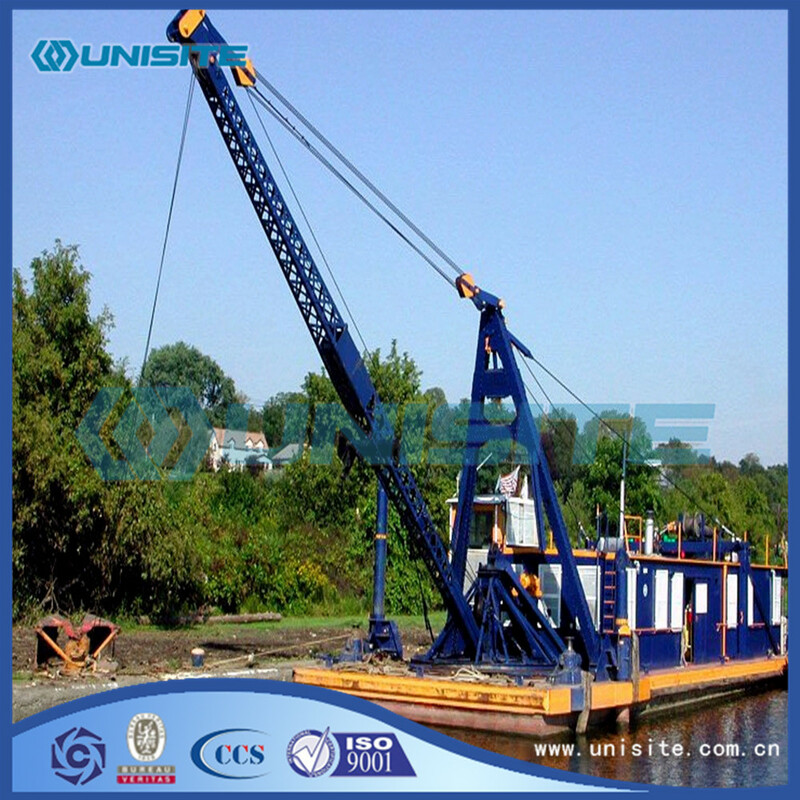 The dredging depth depends only on the length of the wire on the winches. However the accuracy decreases with depth. 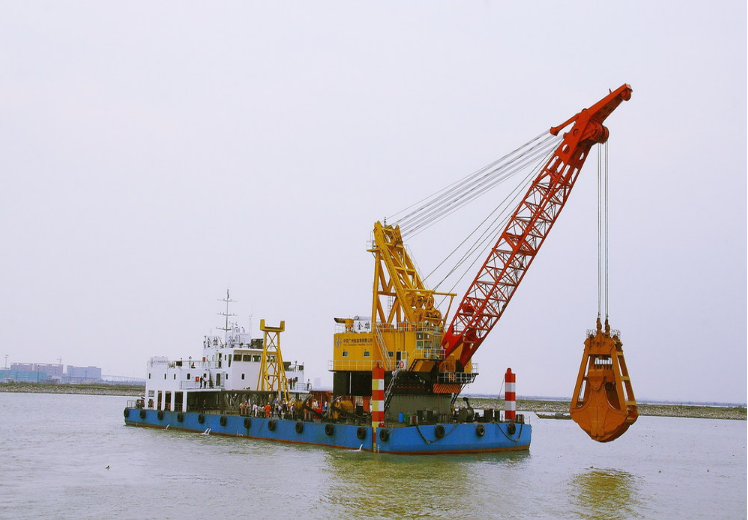 For mining of minerals dredging depths can reach more than 100 m.
Looking for ideal Grab Marine Dredger Manufacturer & supplier ? We have a wide selection at great prices to help you get creative. 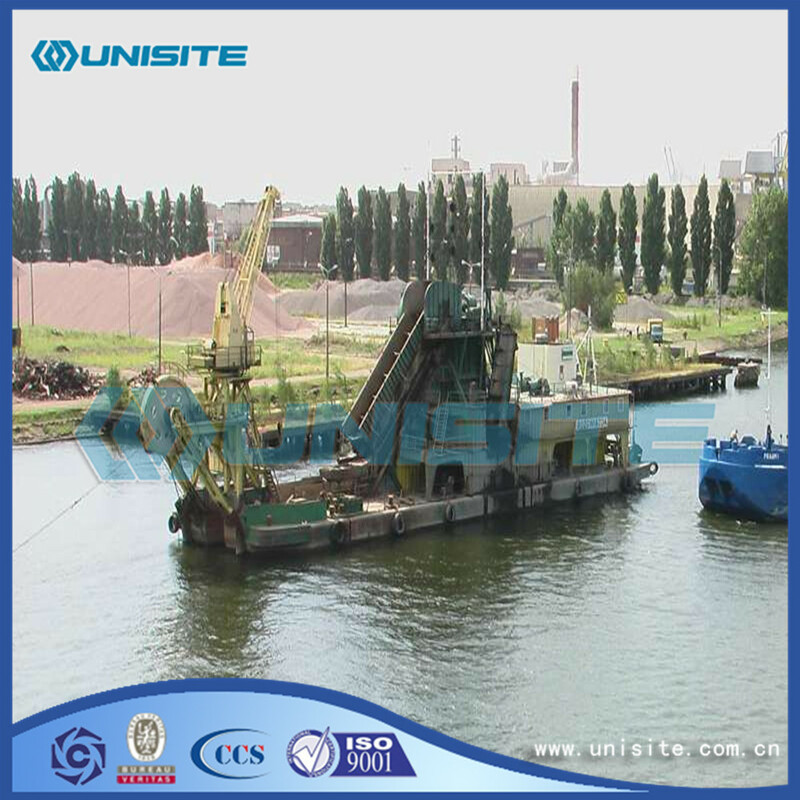 All the Grab Marine Dredgers are quality guaranteed. 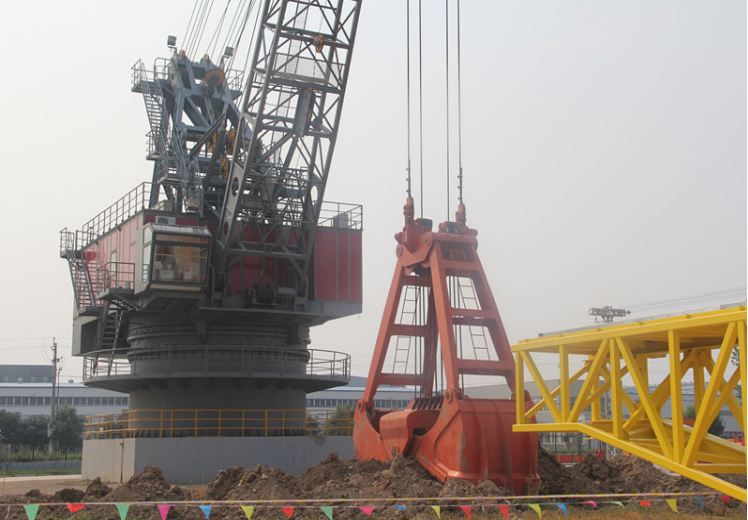 We are China Origin Factory of Grab Marine Dredger Design. If you have any question, please feel free to contact us.